Finding a space for your company to locate is one of the biggest challenges that faces start-ups – could a serviced office be the answer? Finding your very first location or relocating your existing business premises can be a stressful experience for a small company, but it doesn’t have to be. A serviced office might just be the answer to all of your needs. With a serviced office model, you get so much more flexibility and freedom compared to a classic office lease, which is exactly what growing businesses need. However, with all of the different options and services available on the commercial real estate market, finding the right serviced office for your business can still be confusing. Where do you even start with sourcing serviced offices in your desired area? Read on to find out. With short-term leases, there is no need to be tied into long-term contracts, with huge deposits and financial commitments. This is incredibly important to start-ups and small businesses who may be working with strict or unpredictable budgets. You can also upsize or downsize your space at will and relocate at the drop of a hat, depending on what your business needs are. Many serviced offices have multiple locations within the same country, city, or even around the world, with a paid membership giving you access to all. With a regular office, even just trying to find the space is a task in itself. And that’s only half the battle. When you’ve finally locked down a location, you then have to source all the office furniture, utilities and maintenance staff at a great cost to your time and resources. With a serviced office, all of these facilities are already in place before you walk in the door. Most attractively, nearly all serviced office spaces offer all of these facilities included within their monthly prices: meeting rooms, furniture, IT support, high speed internet, telephone, video conferencing, electricity, lighting, cleaning, security and reception staff. A prestigious location is great for your business, but it isn’t always great for your budget. 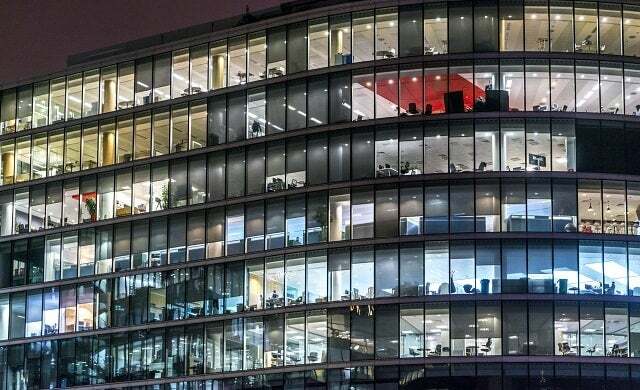 In order to attract ambitious, fast-growth businesses, serviced offices usually locate themselves right in the thick of it, in some of the most iconic locations in a chosen city, close to major transport links. The key to how serviced offices can help small businesses with their location is in their business model. You won’t be the sole occupier of the building, the costs are spread out more, allowing you to locate in an area that ordinarily would have been out of the price range of a start-up. Serviced offices are a great way to meet other like-minded professionals and entrepreneurs and increasing your business network is a great way to explore new opportunities and form mutually beneficial relationships. Whether you share business tips or induce creativity in each other, being surrounded by inspiring people can be very helpful to your business and your employees. Click Offices provides users with an easy way to search for serviced offices globally, by providing a free search and support service to our clients around the world.